I realized that I was completely unconscious of a “self-sabotaging” want that had been deeply buried inside for decades… Let me share, if you will. I recognized that at the deepest levels, I wanted to be alone. I have been absolutely committed to being alone… much more than I was committed to being in relationship. It seems a part of me thought being alone was MUCH safer. I’ve had wonderful relationships and yet there were always subtle challenges and now I know why! I remember a man I was dating saying to me to once…”Stop being alone in our relationship.” At the time I only understood a fraction of what he meant. Wow. At AuthenTalk, we uncovered what Greg calls our Heart Virtues. (If you want to know what yours are, Greg is offering a FREE workshop in January to where you can uncover yours… contact me for details!) When I uncovered mine, I recognized that, in my heart, I am committed to Passion, Unity and Bliss. Knowing my Heart Virtues felt great and yet sometimes the word “unity” brought up pain – sometimes it filled me with love and sometimes I felt angry and sad. I didn’t know why. I used aloneness and being the lone wolf in my career to play small, to keep myself safe… and there are few emotions I wanted to avoid more than feeling alone. I have HATED feeling alone and yet it was my comfort zone. I had no idea. …. Then to compensate, I craved the one thing I thought could fill the empty hole of aloneness I had created for myself: Relationship. I found myself almost addicted to aloneness and relationship simultaneously. No wonder life seemed complicated sometimes… even when it was wonderful! Thank you Greg Mooers & the whole Bridge2Bliss team! At the deepest levels, why are you in relationship or why do you want to be in relationship? What might relationship rescue you from? What would relationship give you that you don’t believe you already have? If you’re not in relationship and don’t really want to be in one… what might relationship take away from you? What might you lose? What would you have to risk feeling if you were in relationship? If there were something holding you back or something you were subconsciously committed to and unaware of, what might that be? If you are ready to discover what is unconsciously blocking you, call me! 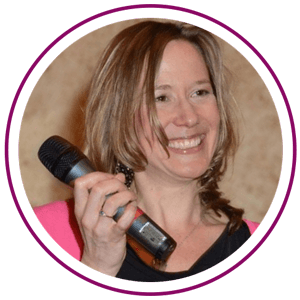 I’m passionate about helping you find your love, joy, peace and passion! For more information on conscious relating and coaching for men, woman, singles, and couples contact me.